Participating artists: Rachelle Bindels, Manu Engelen, Jonas Locht, Dana Saez, Miriam Sentler and Cleo Totti. ELITE 18 is the second edition of the annual group exhibition organised by KRIEG. It presents works of young artists connected, in one way or another, to the Euregio Maas-Rhein, who were nominated by four experts familiar with this context: Koen van den Broek, Lene ter Haar, Eva L’Hoest and Fabian Seibert. In the course of this show, all unique works will be available for acquisition, and the revenue will be devoted solely towards financing the production of new works by the artists and towards further activities of KRIEG. [Selected by] is a yearly screening program, exclusively dedicated to the audiovisual work of one established artist (or collective), and selected by the artist her- or himself. The 2018 edition of [Selected by] is dedicated to the idiosyncratic video work of Ryan Trecartin (°1981) and Lizzy Fitch (°1981). An exceptional opportunity to explore this groundbreaking work in depth. In collaboration with Regen Projects, Los Angeles and Electronic Arts Intermix (EAI), New York. Don’t miss the opportunity to see Andrew Norman Wilson’s most recent video work, ‘KODAK’. 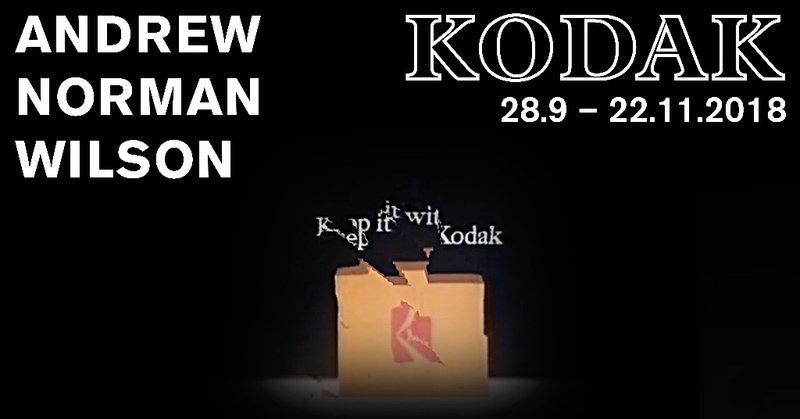 ‘KODAK’ is coproduced by the Stolbun Collection, Kunstlerhaus Stuttgart, Center for Contemporary Art Futura (Prague), and KRIEG. Hours are 9am–6pm, Monday through Friday (except bank holidays). This entry was posted in Uncategorized on 18/11/2018 by admin.